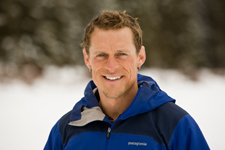 Canadian Alpine Guides is a full-service guiding company nestled in the heart of the Canadian Rockies, founded by Mike Stuart. CAG specializes in rock & ice climbing, alpine climbing and ski touring for all skill levels and abilities. 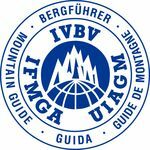 Upon request, CAG offers avalanche and rescue courses. Originally from Winnipeg and drawn to the Bow Valley to embrace the beauty and simplicity of mountain life, Mike and his wife Kristen now live in Canmore, Alberta. Mike started climbing in 1995 and began guiding in 2003. His enduring passion for the mountains and his quest for the eternal challenge has drawn him to many of the classic routes and peaks in North America. Canadian Alpine Guides proudly uses Patagonia clothing and Petzl equipment. Patagonia creates the best technical apparel for the planets harshest climates and are leaders in environmental and corporate responsibility. With a relentless pursuit toward quality and innovation, Petzl maximizes the safety and mobility in the vertical world. Petzl equipment is available for demo on all Canadian Alpine Guides trips.